Peterson: New farm bill preserves status quo, but will it help farmers enough? The full text of the 2018 farm bill hasn't been released yet, but U.S. Rep. Collin Peterson, D-Minn., said Monday that the new bill will look a lot like the one that expired in September. The final farm bill awaits a budget analysis, and Congress is expected to vote on it as its lame-duck session comes to a close in the coming weeks. 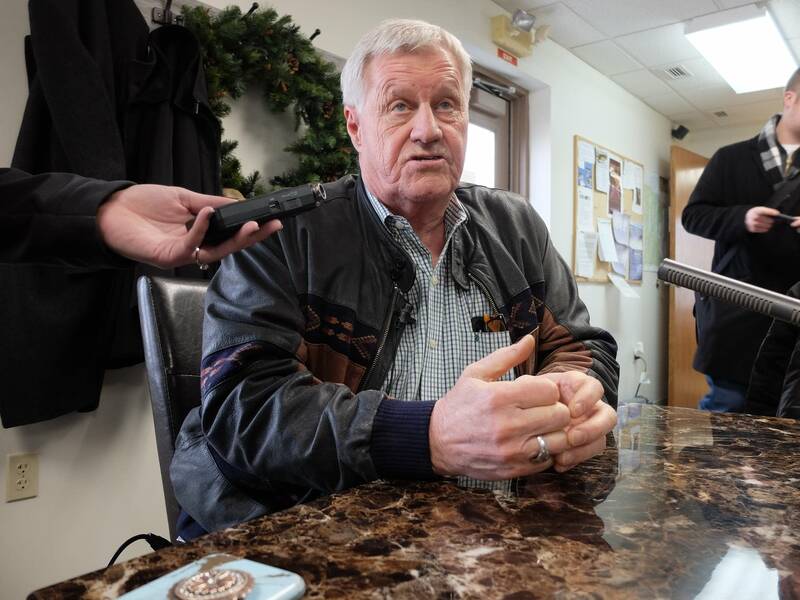 "We've had problems trying to button this thing up," Peterson, the ranking Democrat on the House Agriculture Committee, told reporters at a news conference in Moorhead. "Frankly, it's a damn miracle we got it done." • Your questions: What do you want to know about the farm bill? The farm bill is updated about every five years and authorizes federal funding for food assistance programs, crop insurance and conservation programs. The last farm bill, the one that expired this fall, was passed in 2014. Both the House and Senate had different versions of the new bill, but have now agreed on how to settle those differences. Low commodity prices and trade wars have hurt farmers lately, but Peterson said he doesn't know if the farm bill will help them enough. "Given what we're facing with the price situation and the tariffs, I am worried that this bill is not going to be good enough to get us through what we're facing," he said. "I hope I'm wrong." Small dairy farmers come out ahead in the bill, Peterson said. "If you have less than 5 million pounds of milk, and that's about 240 cows, under what we've put in the bill, you will not be able to lose money," he said. "Hopefully we'll give the safety net dairy farmers need to stay in business." The Supplemental Nutrition Assistance Program (SNAP) will not be subject to work requirements, as Republicans in the House had wanted, Peterson said. SNAP accounts for the largest part of the farm bill, making up 80 percent of the hundreds of billions of dollars authorized in the bill. Peterson says the final bill includes some language from the Senate proposal focused on preventing fraud in the program. Industrial hemp is considered a commodity crop in the bill, opening the door for farmers across the country to try growing it. Industrial hemp can be grown for its fiber and a popular health supplement called CBD oil. "I may grow some hemp on my farm. I'm looking at it," Peterson said. "There's a big market for this stuff that we've been ceding to Canada and other places." While leaders of the House and Senate agriculture committees have reached an agreement, the bill still has a few steps before becoming law. The Congressional Budget Office will release its analysis of how much the farm bill will cost. The conference report, which is the version of the bill House and Senate agriculture leaders have agreed on, will soon be released to the public and members of Congress before it's voted on. The full House and Senate will vote on the bill as negotiated by the conference committee. If it passes, the bill goes to President Trump for his signature.